I KNOW MORE THAN YOU DO IDIOT. YOU JUST LIKE BUSTING MY CHOPS. RUBBER DUCKS ARE BASED ON REAL DUCKS- MORON. THERE MUST BE NORMAL NON-HUMANOID DUCKS IN THAT CARTOON. WHY ELSE WOULD RUBBER DUCKS BE THERE? DON'T EVEN TRY TO INSULT MY INTELLIGENCE YOU RETARD. YOU ARE TAKING THIS THREAD WAY TOO SERIOUSLY. A plover might be a good fit. YOU'RE THE ONE CALLING A PITCHER OF KOOL-AID A RETARD, SO WHO'S TAKING THINGS TOO SERIOUSLY? THOUGH IF BY SERIOUSLY YOU MEAN SERIOUSLY LAUGHING AT YOU, THEN YES, I AM TAKING THIS THREAD SERIOUSLY. I love Salty! He would have to have a complete inability to dance. While Salty knows that his lust to be covered in peanut butter is wrong; it is no where as bad as his cousin Graham's obsesion with being covered in hot marshmellow and choclate. You are a USER hiding behind an AVATAR. WEIRDO. 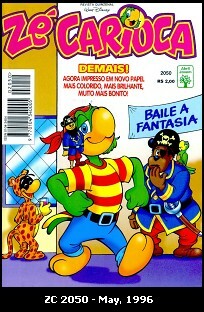 What is that thing on Joe Carioca's shoulder? Oh, so your avatar is your actual likeness? You're an abstract, kaleidoscopic pattern of green and white? Which part is your mouth? Gargamel was the name of the wizard in the Smurfs-why do you call yourself Gargamel and have a Kool-Aid Man avatar? Because that name and avatar perfectly represent the words I publish to this site. CROWS. They can keep crows as pets. In literary accounts, pirates had flamingos, pelicans, albatross, crows, cockatoos, and seagulls were included in the list. Most seafaring birds just hang out for the ride anyway.